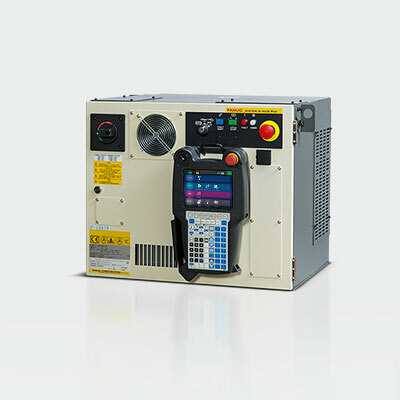 The R-30iB Plus controller is FANUC’s new standard for smarter productivity. It is destined to contribute to the easier use of robots and automation in the manufacturing industry. 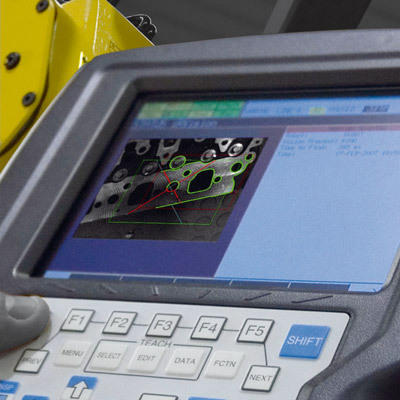 Featuring a new generation of advanced integrated hardware and more than 250 software functions, it is your key to robot performance in terms of cycle-time, speed, accuracy and safety. 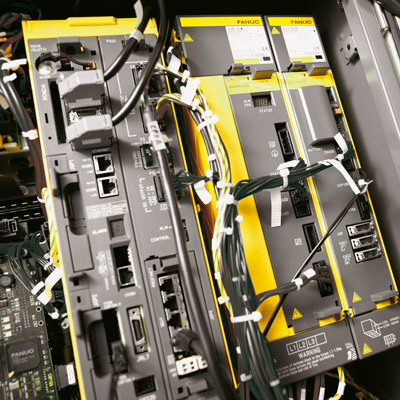 Designed for increased user friendliness and minimal energy consumption, the R-30iB Plus comes in five different cabinets to help you make the most of your floor space and production cell layouts. 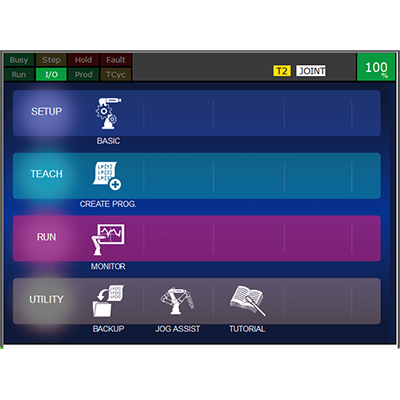 With a flexible appearance, the user interface, iHMI, has a convincing screen resolution and a strong processing capability. 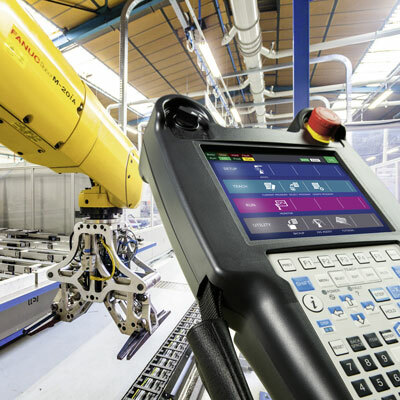 The R-30iB Plus robot controller's integrated, high-performance PMC has access to the entire robot I/O system, enabling easy separate or asynchronical control of peripheral devices with no detrimental effects on robot performance. 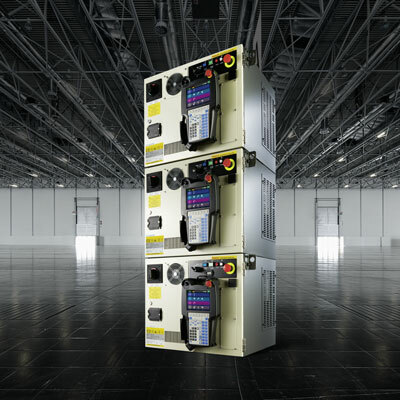 With the exception of the larger B-Cabinet, all FANUC R-30iB Plus robot controllers are compact and easy to integrate into single robot production cells. For multi-robot installations they can be stacked. 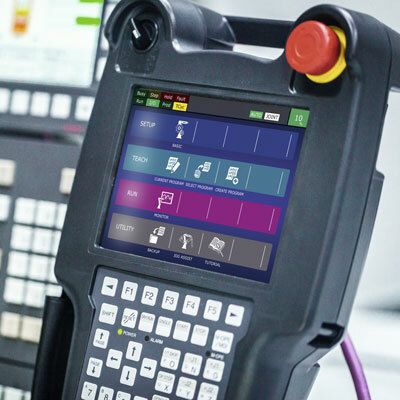 Unlike PC-based robot controllers that rely on Windows, R-30iB Plus controllers use FANUC’s own propriety software – meaning you won’t have to worry about viruses, hackers or stability issues. 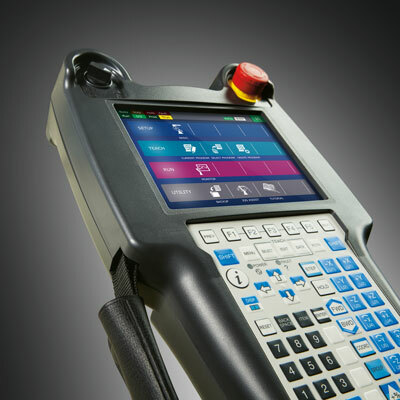 Intuitive and simple to use, iPendant makes using the R-30iB Plus robot controller easy for everyone involved in the production cycle. Intelligent power optimisation, and a range of energy saving features help make energy efficiency stand out in your business’ bottom line. All R-30iB robot controllers are ready for intelligent functions such as vision, force and interference check as standard. Based on an improved motion performance, the new user interface (iHMI) allows the robot to be installed within 30 minutes using the initial setup guide. 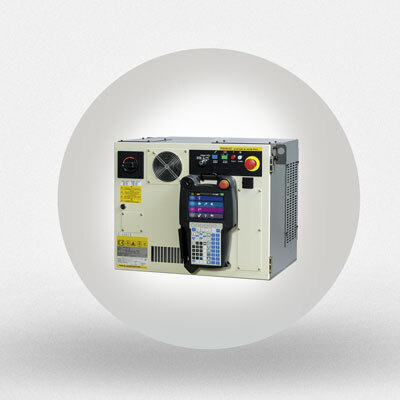 FANUC’s standard controller, the A-Cabinet is FANUC's compact and stackable solution. 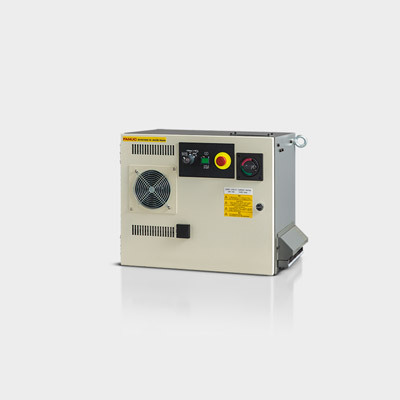 Perfectly suited to industrial environments, it is designed for limited/2 aux. axes. Powerful and self-contained, this is the ideal choice for smaller robots and has been designed specifically for M series and LR-Mate robots. It is stackable for multi-robot cells. 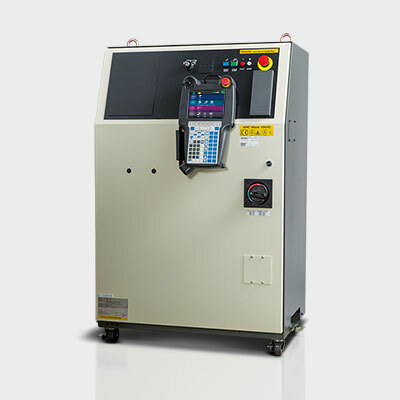 Ideal for M1, M2, M3 and LR Mate robots, this unit is powerful and self-contained. 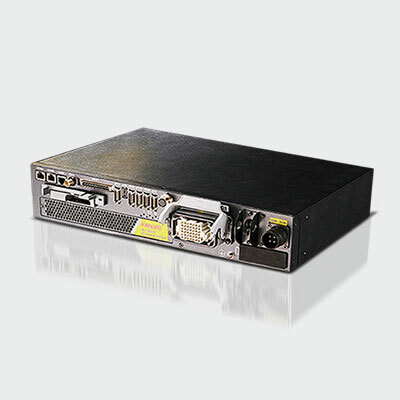 Built for office or very dirty/humid environments, it can be rack mounted into another cabinet and is stackable for multi-robot cells. 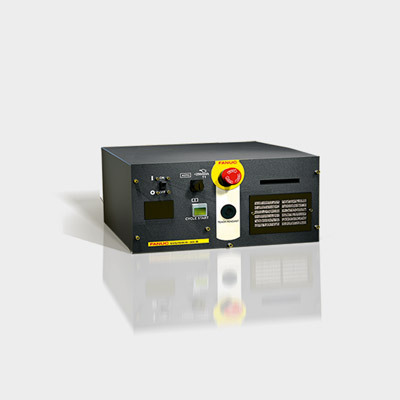 The new designed Compact Cabinet is used for the FANUC SCARA series and is a global controller with CE/NRTL compliance. It convinces through a lightweight and very compact design and is easy to integrate.